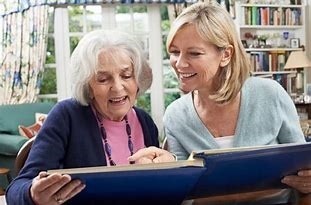 1:30 - 2:30 pm: What are “Normal” Lab Values in Older Adults? 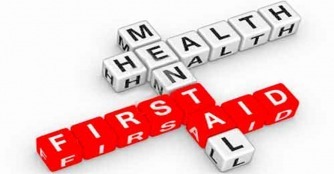 The Behavioral Health Local Advisory Committee inpartnership with SCL Health/ Holy Rosary Healthcare are pleased to offer atraining course on Mental Health First Aid. This course will teach you how to identify, understandand respond to signs of mental illnesses and substance-abuse disorders in ourcommunity. MedStart is a 5-day summer program aimed at developing the next generation of healthcare providers. Hosted by the Montana AHEC (Areas Health Education Center) and the Montana Hospital Association, MedStart camp immerses students in campus life while providing opportunities to explore a variety of health care careers through simulation activities and job shadows at local facilities. Students also attend college planning sessions to map out their college and career goals. After camp, each regional AHEC office provides support to students that include college resources, financial aid updates, scholarships and connections to further job shadowing within their hometown. Past activities have included: Dissections; Nursing simulation lab; Dental assisting; Health Information Technology demonstrations; Mock disaster training/ EMS; Cadaver lab and X-Ray activities. Open to current high school sophomores and juniors. Scholarships are available for students who come from disadvantaged backgrounds, low-income families, rural areas, minorities, or will be first in their family to attend college. 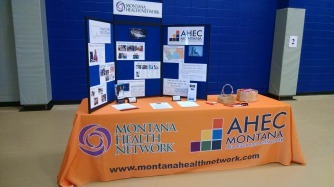 North Eastern Montana AHEC and Montana Health Network are moving to a new office the last week in June. Our new address, effective June 27th, will be 519 Pleasant, Miles City, MT 59301. Our email addresses and phone numbers will remain the same. Montana Health Network and North Eastern Montana AHEC will be offering a BLS for the Healthcare Provider class the third Tuesday of every month, starting November 17th. The classes will run from 9:00 am until 1:00 pm. The classes will be limited to six students. Classes will be held at 11 South 7th St., Ste. 155 in Miles City. $40 per student. Please contact Beth Brunk at (406) 234-1424 or bbrunk@montanahealthnetwork.com to enroll. The In-A-Box series was ordered from Eastern Oregon University in December and arrived in February. In A Box is a “traveling resource” designed to enhance science & health curriculum. It’s all inclusive lesson plans & activities around specific themes give teachers, presenters, group leaders, and others working with children in grades K-8 in Eastern Montana the opportunity to use the curriculum absolutely free for three weeks! Boxes will be reserved and shipped as available. Contact Beth Brunk at (406) 234-1424 to arrange reservations. The addition of the NE MT AHEC Region based in Miles City marks the fifth AHEC region in Montana. The NE MT AHEC office will serve all of the communities and healthcare facilities in fifteen counties in North Eastern and Southeastern Montana.